Enforcing cloud based security services has been a fruitful outcome, but the network pros must examine the architecture of cloud provider for reliability and security aspect. Security-as-a-service is the subset of SaaS (Software as a service), which allows consumers to host their network security and monitoring practices on hybrid or public cloud, instead of locating them in premises itself. 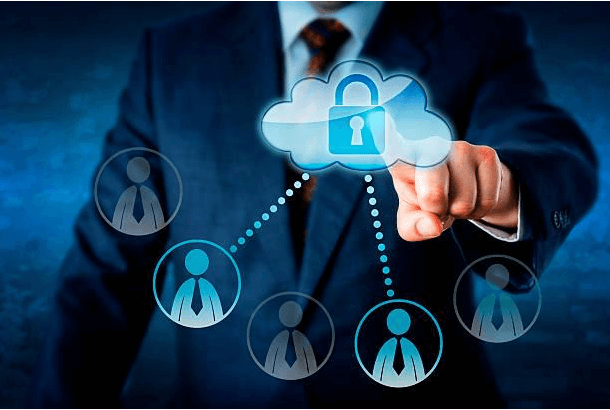 Cloud Based Security Services – Are These Important? In comparison to the on-premises network security, there are number of benefits of using security-as-a-service solution. One of the major benefits is that it is available in lower costing. It is so because the service eliminates the capital expenditure and the maintenance services purchased either on an individual basis or subscription basis. Apart from this main benefit, security-as-a-service is rapidly to deploy that demands for less maintenance costing and is supportable for mobile users too. If the cloud vendors satisfy the SLAs (Service-level agreements), these cloud based security services are more than enough to replace some of the on-premises security apps. One have to calculate the results of all the above-enlisted assessment types and then, combine them with an overall value of risk to address the current security status in your firm. Organizations must collaborate with cloud service vendors to ensure that sufficient amount of encryption algorithms are enforced at their exact location. This will provide security to business data from unauthorized access. All critical content of business should be encrypted at the transmit state as well as in the rest state. At the initial stage, companies must learn the data sensitivity level to be secured and analyze the maturity level of encryption products for data transmission on public or hybrid cloud. Do you know that – Organizations frequently address online strategy for backup and disaster recovery. Customers need to make sure that cloud service providers that offer online security services, should have a disaster recovery or business continuity plan of their own. These strategies must guarantee to continue of operations on PaaS, IaaS, and SaaS platforms. A Safety Tip – Being a responsible online user, it is your responsibility to demand for a SLA from CSP. This agreement comprises of the backup and recovery plan that is covered under the RTO/RPO section. What All Should be Present in Cloud Based Security Service Vendor? Identity and Access Management – Business network admins have to maintain cloud identity management services to create, handle, and delete the role-based identities, enforce strong passwords and prefer use of biometric technologies. A cloud based security services provider should render a simplified platform from where it becomes easier for administrators to manage their responsibilities. Intrusion Detection and Prevention – This requirement is quite obvious in Cybersecurity service providers, which is capable of detecting threats on its own. An advance intrusion prevention and detection system enables administrators to perform network traffic inspection, responses over manual or automated intrusions, and behavioral analyses of employees because they are the main cause for internal threats. Coded With Email Security Measures – Of course when its about cloud based security services, it is mandatory to have email security policies already embedded in them. Enterprises have to make sure that this feature is already provided in the shortlisted service provider. If no, immediately reject the security vendor proposal because email security is one of the basic aspects of Cyber protection. Security Data & Event Management – Online apps contribute themselves in monitoring and auditing procedure, and these features are core in SIEM. It is accomplished by the events and security data collected from traditional IT security systems (like anti-malware, IDP), network systems, and management systems. Administrators must ensure that the log file data meets particular regulatory and compliance requirements at the time of shifting data to cloud. Not only it is about cloud data security, a business has to suffer from other sort of security challenges in their premises. Therefore, we recommend IT businesses to adopt managed security services vendors who provide IT security solutions with Cybersecurity measures too. They cover all the advanced technologies required to protect data from cloud leakage. But make sure that the points covered in this post are covered in the chosen cloud based security services provider.